Get quick answers to frequently asked questions. Below are answers to frequently asked questions about Kettering University Online graduate programs and certificates, tuition costs, financial aid, online experience and more. To speak with an Enrollment Advisor who can help answer questions over the phone, call 1-855-418-0201. Am I eligible to apply for an online graduate program at Kettering University? Engineering Management applicants must have a Bachelor of Science degree in engineering from an approved ABET-accredited engineering or computing (not technology) program, or be a Kettering University graduate with a degree other than management or business. Lean Manufacturing applicants must submit a completed application, two letters of recommendation (one from a supervisor), and transcripts of their bachelor’s degree from a regionally accredited U.S. university or an international equivalent. Operations Management, Supply Chain Management, and MBA applicants must submit official transcripts of their bachelor’s degree from a regionally accredited U.S. university or an international equivalent. Online graduate certificate applicants must have a Bachelor of Science degree from an accredited university. Do you offer technical support for Kettering University Online students? How do online courses work at Kettering University Online? All Kettering University Online courses are delivered through a highly collaborative and easy-to-use online course delivery system. Courses are taught in six (6), eight (8) and 11 week intervals, allowing you to consider your busy lifestyle and then select the most convenient times to enroll in courses. How much does it cost to get a master’s degree at Kettering University Online? The cost per credit hour for both a master’s degree and graduate certificate is $912. Master’s degrees of 40 credits are a total tuition of $36,480; graduate certificates are 12 credits for a total tuition of $10,944. The MBA degree of 40 credits has a total tuition of $43,776. 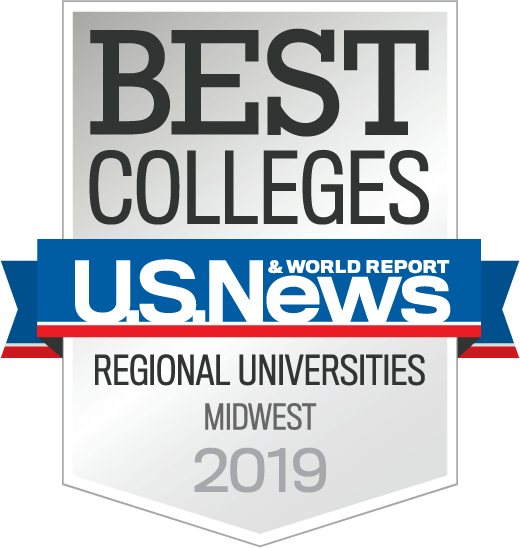 Who accredits Kettering University Online's programs? All Kettering University Online master’s degree programs are accredited by the Higher Learning Commission (HLC). The HLC is an independent corporation that accredits degree-granting, postsecondary educational institutions, with the purpose of serving the common good by assuring and advancing the quality of higher learning. Read more at the Higher Learning Commission website. Our electrical, industrial, mechanical, chemical and computer engineering programs and our engineering physics program are accredited by the Engineering Accreditation Commission of ABET, abet.org. The management program was accredited in 1995 by the Accreditation Council for Business Schools and Programs (ACBSP), 11520 West 119th Street, Overland Park, KS 66213, acbsp.org. Is financial aid available at Kettering University Online? Yes. Kettering University Online accepts many forms of financial and military aid, as well as employer tuition reimbursement. Please see our Cost and Financial Aid page for more information. What are the computer requirements for the Kettering University Online master’s degree and graduate certificate programs? A high speed internet connection with a connection speed of 10 Mbps or better. What should the Lean Manufacturing program letters of recommendation say? As part of the online application, you will be prompted to enter email addresses of those individuals providing your letters of recommendation. Kettering University will contact these individuals directly to provide a recommendation letter template. Your recommender should be prepared to describe his or her relationship with you and address how suited you are for the Master of Science Lean Manufacturing program. What support do I receive as an online student? To help close the distance gap, you have personal access to your professors through telephone, voice mail, email, fax and online bulletin boards and/or chat rooms. Professors provide office hours, during which you may contact them to ask questions or discuss course materials. You are assigned a personal Kettering University Online Professional Advisor to assist you with your program from enrollment through graduation. Technical support is also available. Will the degree or certificate I earn online be a genuine Kettering University degree or certificate? Yes. You earn the same respected degree or certificate as our on-campus students; there is no designation difference between on-campus and Online students on our diplomas or transcripts. Am I required to travel? Kettering University Online programs can be completed 100 percent online. You are welcome to visit our campus in Flint, Michigan when you are in the area. You’re also encouraged to take part in our on-campus graduation. What are the Kettering University Online graduate admission requirements for international students? International students are required to submit educational documentation to an evaluation service such as WES, which is a member of National Association of Credential Evaluation Services (NACES). This will be at the expense of the student. Kettering University undergraduate students need not submit their Kettering transcripts, but are required to submit transcripts from any other university. How long does it take to complete a Kettering University Online master’s degree program? Kettering University Online works around your schedule. We have had students complete a master’s degree in less than a year, while others have taken five years. (You can complete an entire college course in just six to eight weeks, one course at a time, or more, as your schedule allows.) The average time to complete our master’s degree program is two years. Where can I find instructions on applying to Kettering University Online? Visit the Become A Student page of this site. Where can I get information about the online graduate programs and certificates offered at Kettering University Online? Kettering University Online graduate degree program information can be found on our Programs page. Kettering University Online graduate certificate program information can be found on our Graduate Online Certificates page. Who teaches the Kettering University Online master’s degree and graduate certificate programs? At Kettering University Online, you learn from respected Kettering University faculty and contributing faculty. Visit our faculty page to find out more about our instructors. Is there a fee to apply at Kettering University Online? No. There is no fee to apply at Kettering University Online. Where do I find the Kettering University Online application? Please review the application requirements and instructions on the Become A Student page of this site. I have applied for graduate study and would like to know the status of my application. Whom do I contact? Please call or email your Kettering University Online Enrollment Representative. For course enrollment information or any further questions about current courses, please visit our Student Services & Support page for more assistance. What is considered full-time status at Kettering University Online? Graduate students are considered full time if they are taking at least eight credits each quarter. Kettering University Online offers two six-week sessions each quarter. Kettering University Online students should take at least one class in each six-week session to be considered full time. What Graduate Programs are Offered on Campus?